Which are the tallest roller coasters in the world? At least once you’ve asked yourself just that! 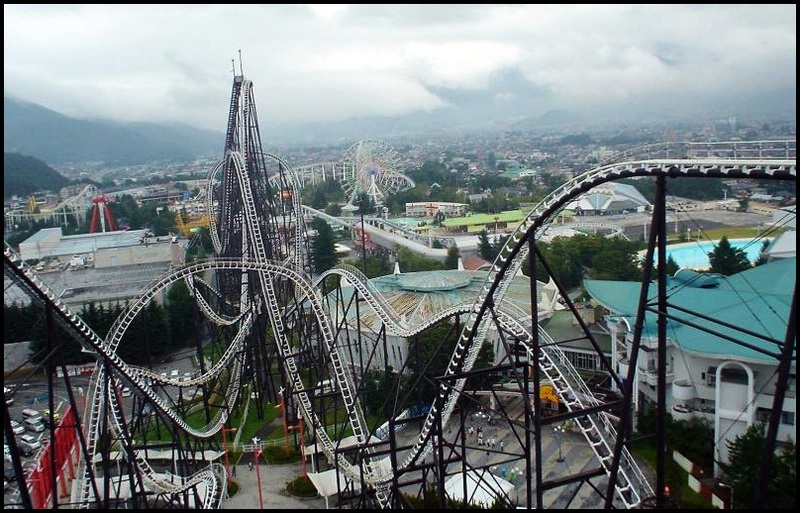 An amusement park is nothing without a roller coaster, no matter how tall or long it is. The tallest, the more the excitement, the instigation. So we decided to search for the tallest of them all and rank them for your entertainment! Next time you’re planning a fun escape make sure you check out this list and maybe – if you’ve got what it takes – try some of these out! Check out our top list of the most tallest roller coasters in the world. Even at 3-5 meters some people get panic attacks, now imagine yourself at close to 80 meters up in the sky getting close to that drop. If that mental picture didn’t throw shivers down your spine the real thing will most certainly do it! Designed by TOGO, our #5 roller coaster is made from steel and it is located in Fujiyoshida, Yamanashi, Japan, at Fuji-Q Highland Park. It was once considered the tallest roller coaster in the world. It was opened in 1996 and has 79 meters (259 feet). Fujiyama was named after Mount Fuji, located on the West part of Tokyo. ‘Fuji’ means king and ‘yama’ means mountain. If you get the opportunity to test it out we can assure you, you’ll be on the ride of your life!